I'm an Explorer, a trail runner, a mountain biker and an Adventure Racer and Im also certifiably insane.!!! I want to do 10 challenges in 10 months to raise $10,000. All funds raised will go to the THE YACAABA CENTRE in Nelson Bay. I have spoken with Lyn at The Yacaaba Centre and they have endorsed my challenge. The Yacaaba Centre was established in 1989 and is proudly supported by many organisations and individuals in the local community. We are partially funded by NSW Family and Community Services and operate on a donation basis (tax deductible). The ability to pay is not a prerequisite for clients to access our many services. Specialised support for women (with or without dependent children), men and families. Our first priority is to help our clients to achieve their goals and provide the best possible care. Our fully qualified counsellors participate regularly in ongoing professional development. All client information is treated with the utmost respect, understanding and confidentiality. The Yacaaba Centre is a Non Government Organisation that grows and develops through community donations. I plan to personally fund all challenges, to ensure all funds go directly to the chosen charity to ensure we can support families to rebuild after family and domestic violence. But I will need your help I can get to get the message out and shared all over social media. So please share my campaign and my message. I will complete 10 challenges in 10 months. I will run/ hike and crawl one lap of Tomaree Mountain for every woman lost to Domestic Violence in 2018. At October 31, we have lost 67 Women this year and thats 67 too many. Tomaree is 2.2 klm per lap. Bilpin Bush Run and more challenges to be set. 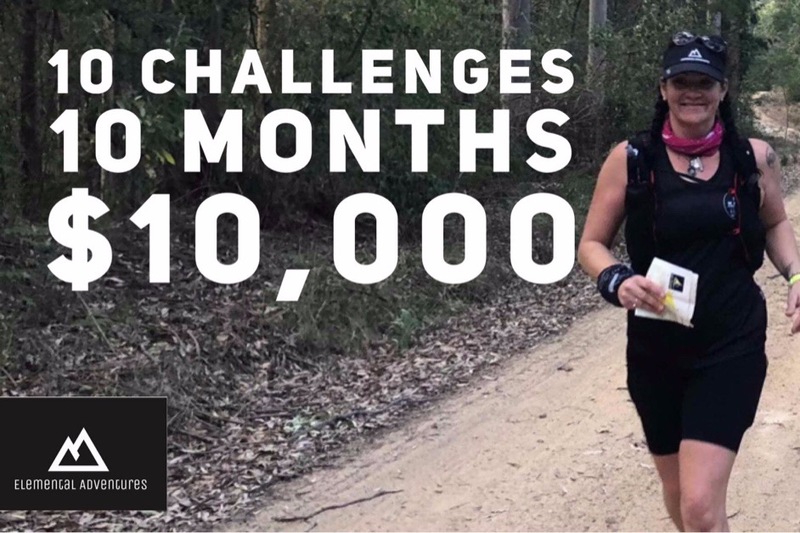 10 Challenges, 10 Months, $10000 has reached 55% of its goal. Just wanted to say thank you all, for so much support, so many messages and well wishes for the campaign. I cant always answer very question, So I thought would answer some in a post. You guys are simply amazing ! Why Domestic violence, and why am I personally focusing on the women killed this year? I have survived and overcome a very emotionally abusive relationship and I can use my personal experiences to relate to women who are victims of Family Violence. Why 10 major challenges, where you could get hurt or push your body too far. I usually do 4 major events each year, I know what my body and mind can do, I will use my experience ain adventure and DV to fuel my fire. Im working with a coach and also my Physio ensure my body is well looked after. Most of the battle with this campaign will be mental, Its also my way of healing too . I have incredible support systems in place, with my partner , family and friends. I hope to raise a minimum of $10000 for the Yacaaba centre and I hope to inspire at least one woman to believe she is worth more than she’s told. I hope she can see her worth, change the pattern , speak out and stay safe. I hope I can inspire women to have courage, be brave and take a step towards a better life. I hope I can help share the resources we have to women to help them in their battle with DV. Why the Yaccaba Centre, What do they Do? Know the services in your area. Let the women in your life speak to you without judgement. Listen to their story, don’t force decisions. Let them know your door is open. Support your local frontline organisations, they all need our help! Check on your friends and family.